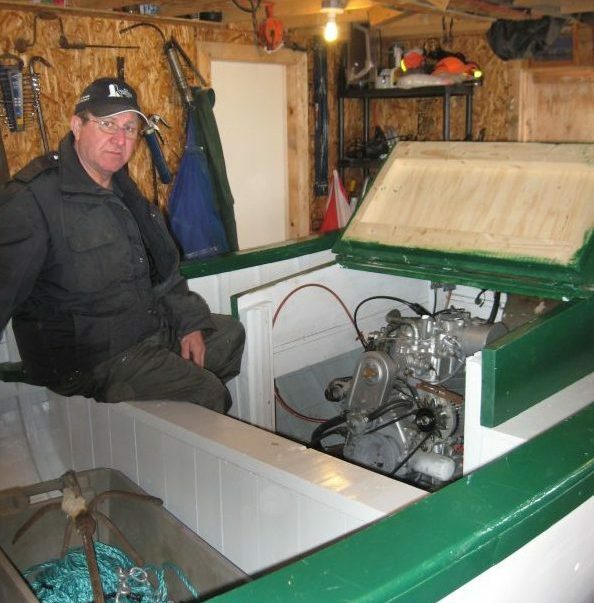 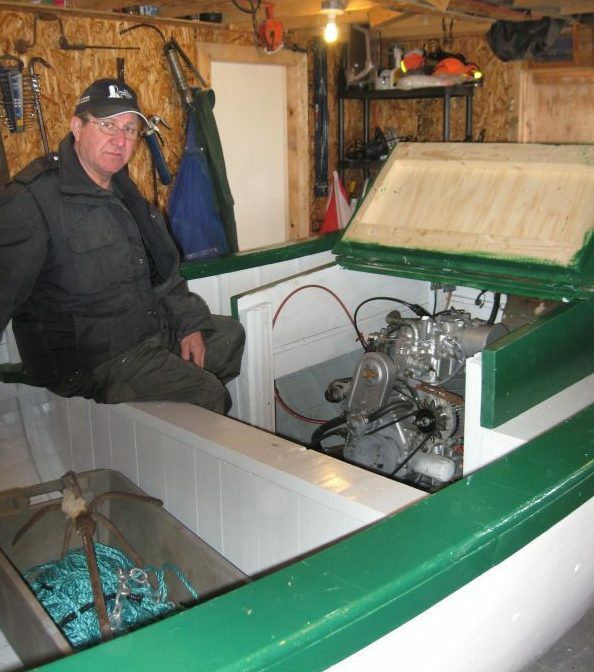 On June 1, 2013, Roy laun ched his own motorboat. 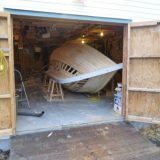 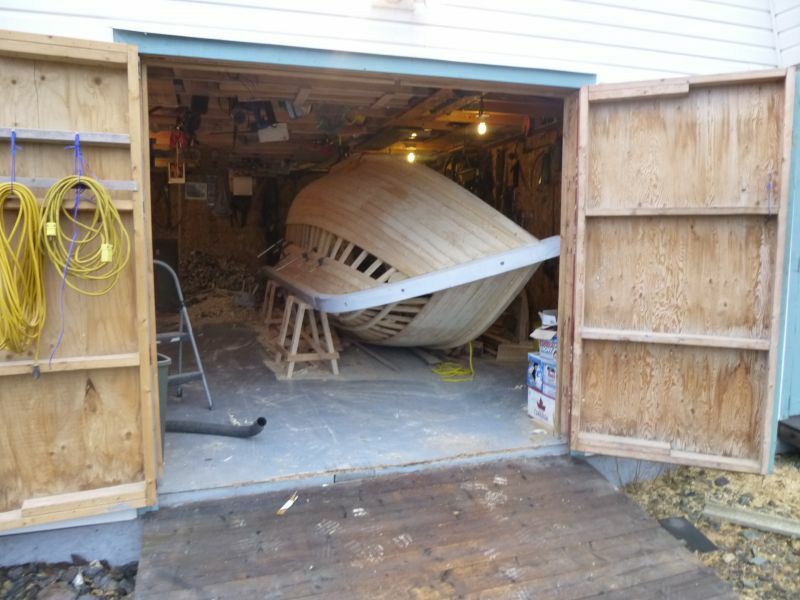 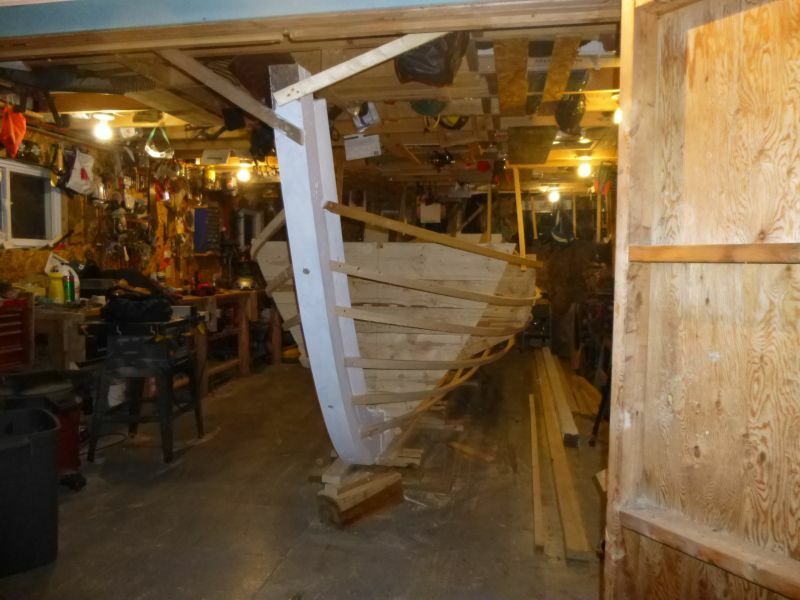 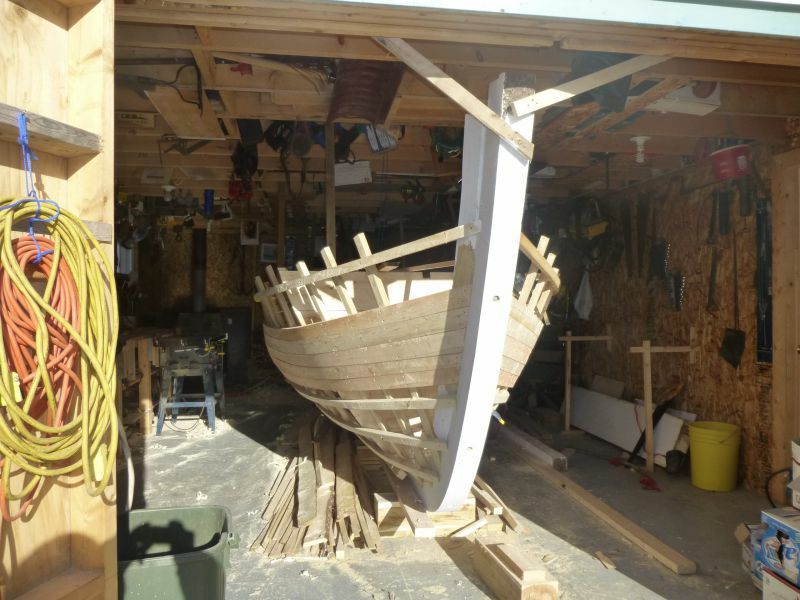 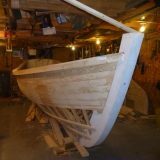 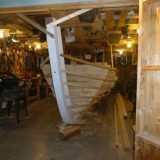 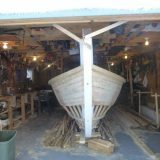 With an overall length of twenty-one feet and a beam of seven feet to outside gunwhales, “she just come out through the door,” Roy said as he showed us photos of her build and launch. 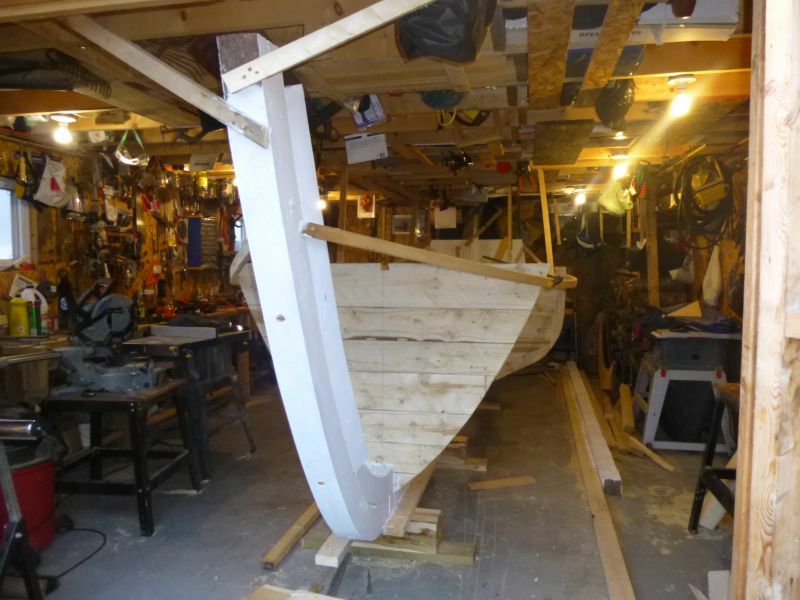 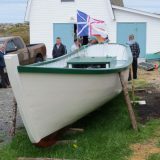 To design the shape of her hull, Roy started with moulds taken from a motorboat built by Keith Hill in Little Burnt Bay and modified the forehook to accommodate the shape his stem. 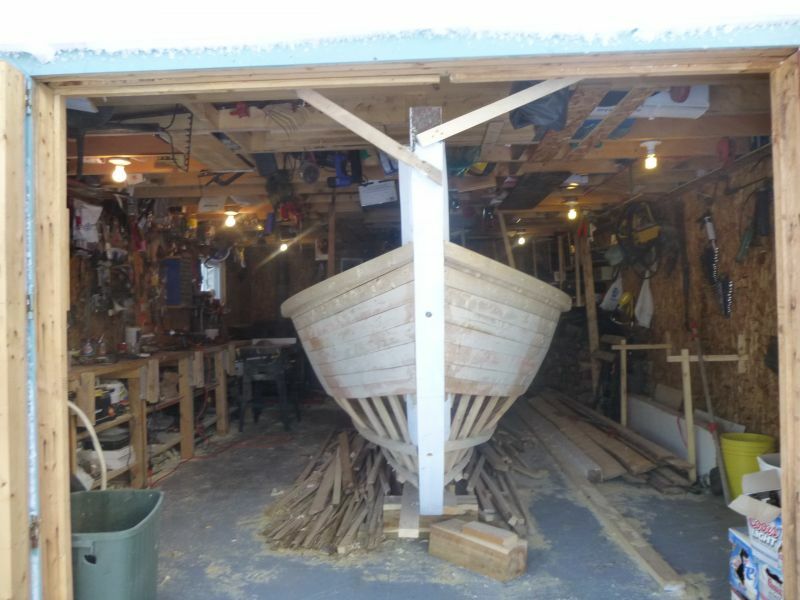 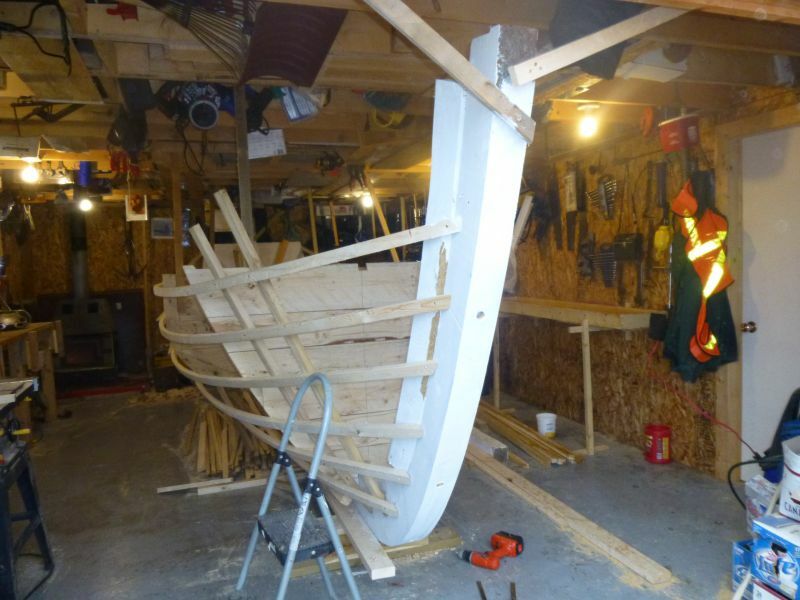 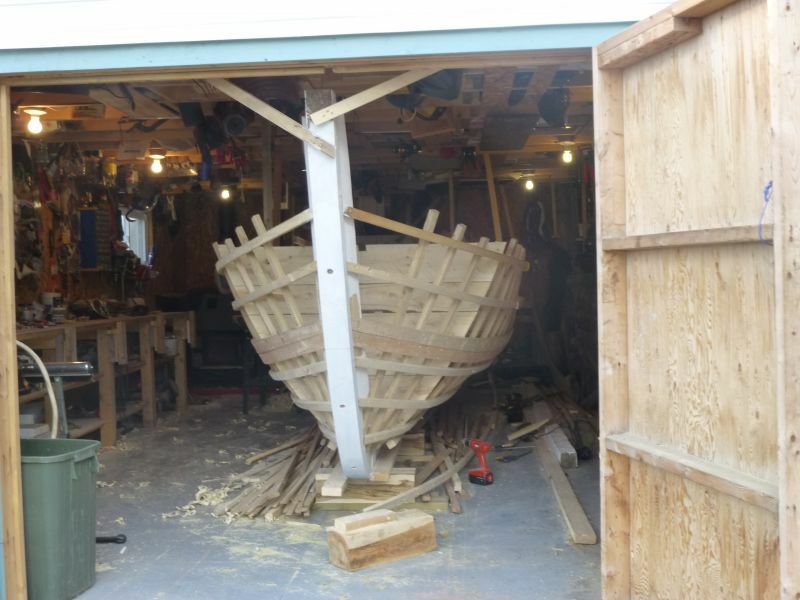 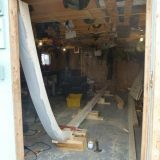 He used steam bent frames, or laths, made from juniper cut by his brother Raymond in Botwood. 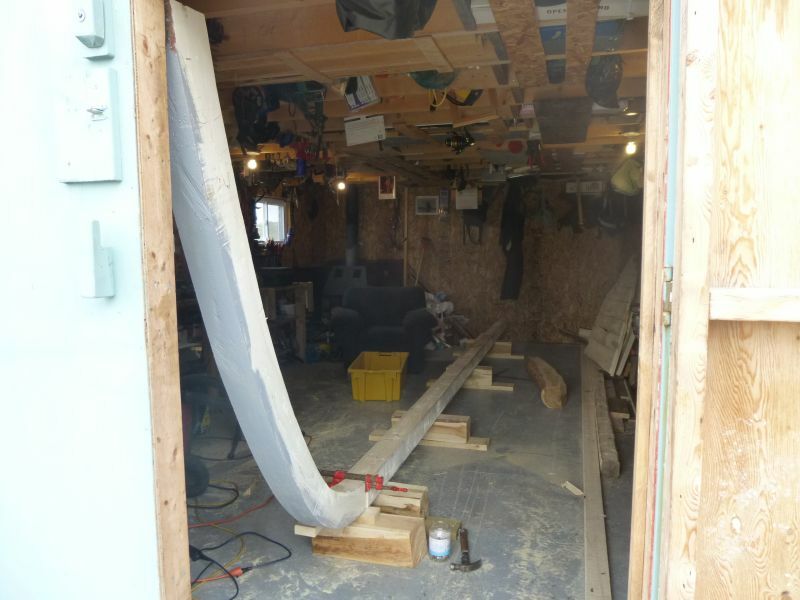 After boiling in hot water for an hour and fifteen minutes, Roy placed the 1½” x 1″ laths at 8″ centres. 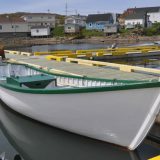 The twenty-one foot motorboat was launched in the spring of 2013 to the tune of Johnny Poker, a traditional launching song. 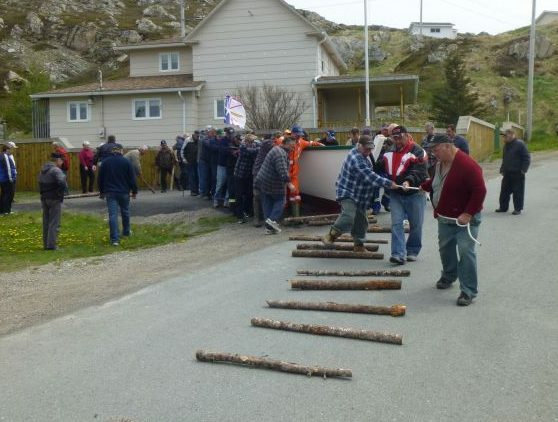 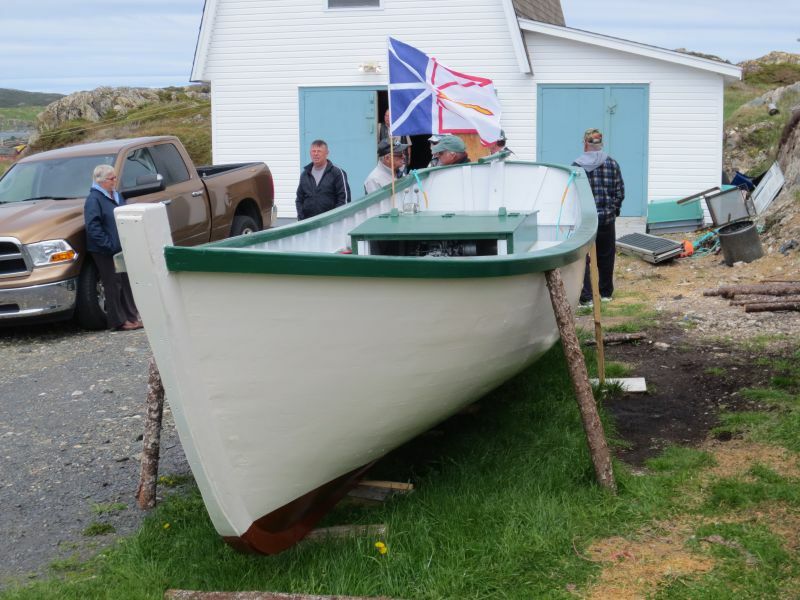 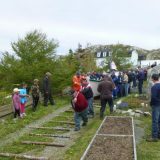 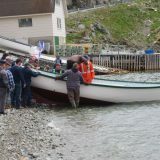 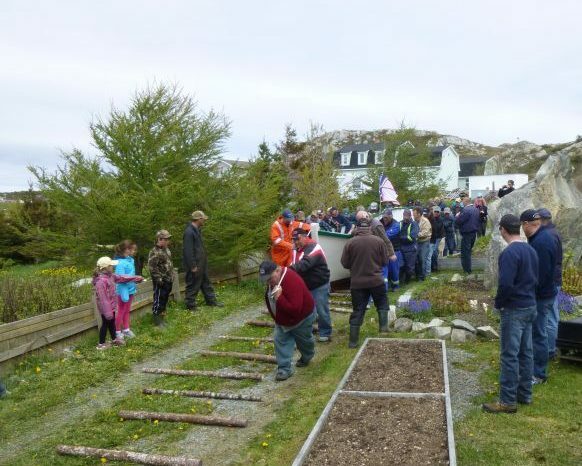 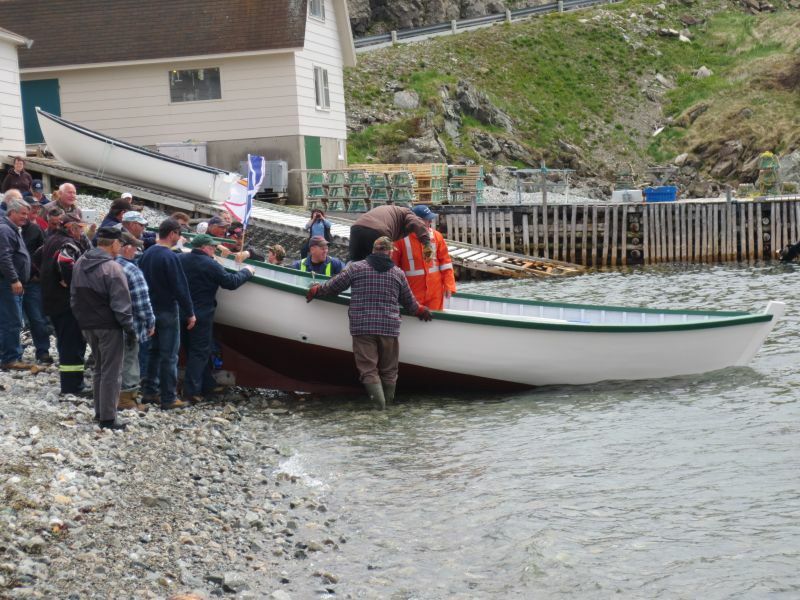 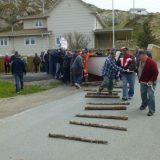 They opted for an old-fashioned launch, using logs to roll the boat over and help from the community to haul her from his garden to the beach. 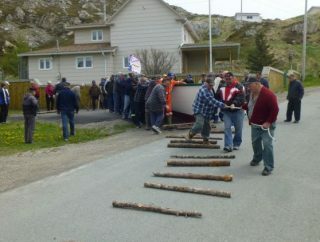 “There must have been about a hundred people there that day,” Roy said. 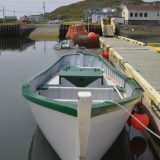 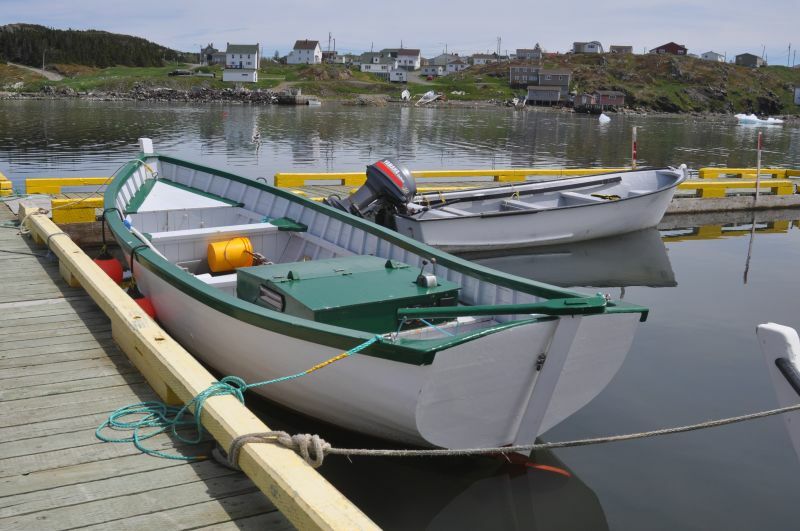 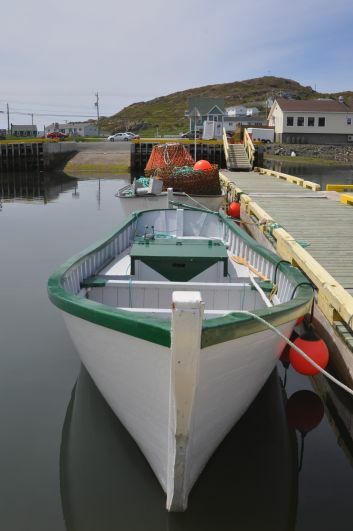 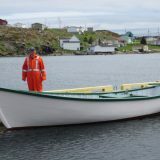 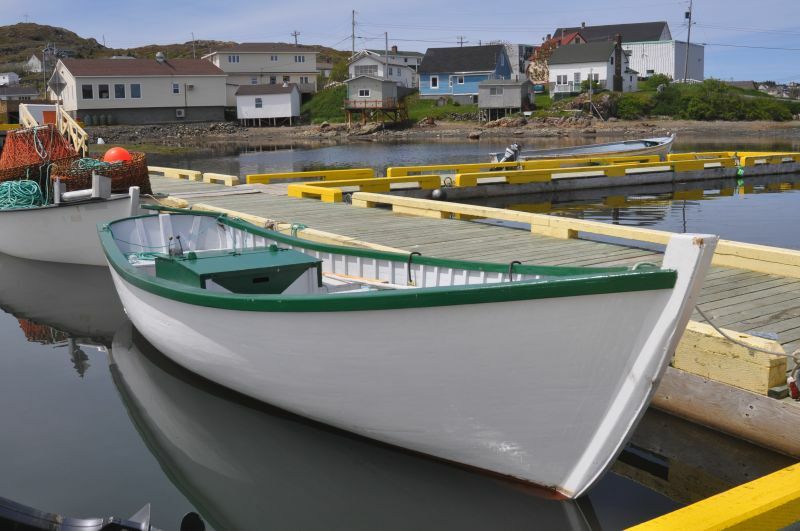 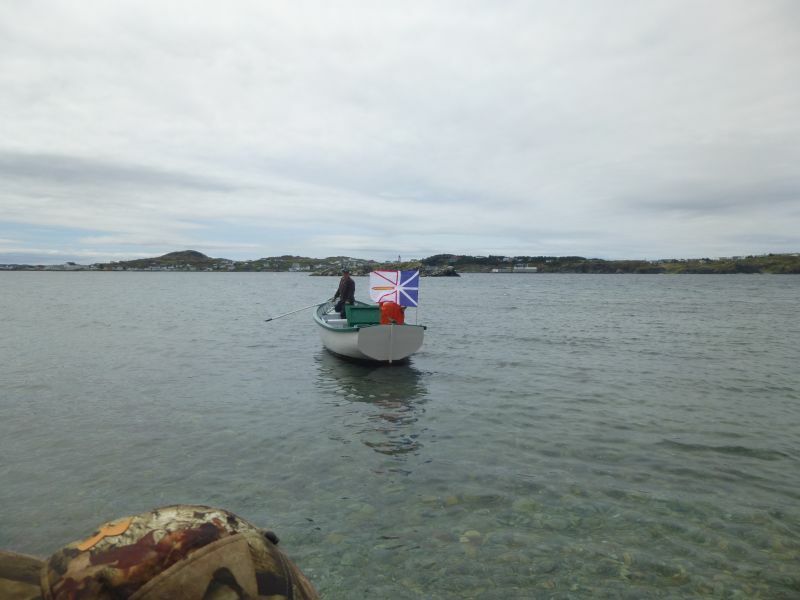 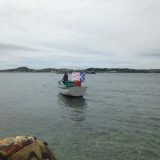 For her maiden voyage, Roy took the motorboat to Tizzard’s Harbour, where he grew up. 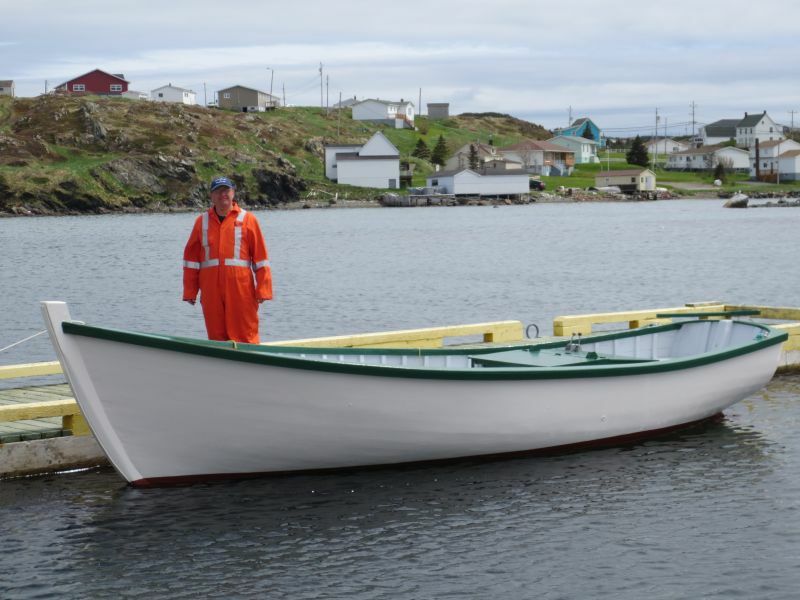 “She’s an excellent seaboat… She floats good in rough water and she’s very maneuverable,” said Roy, “But, like I told Alf, that was fluke more than anything else,” he laughs. 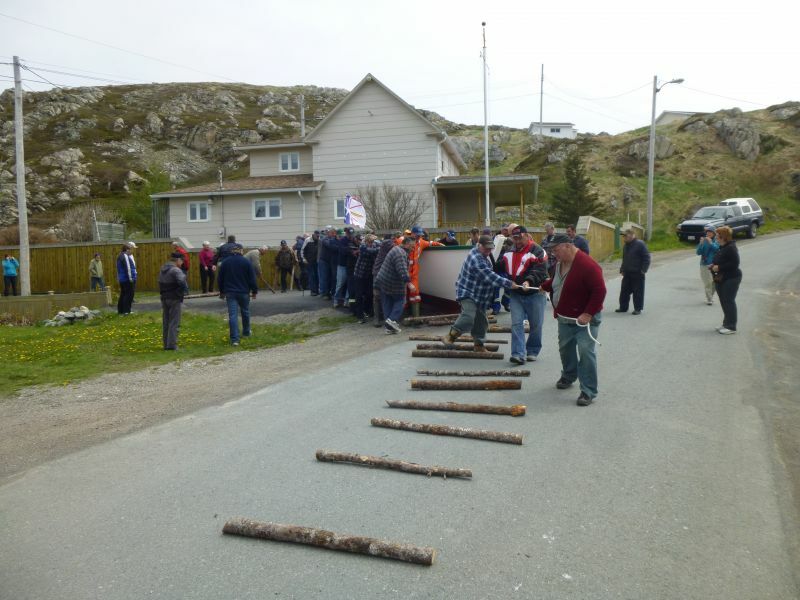 Back in 1971 during my first year at New World Island Central High School, Joseph Smallwood while in the midst of an election campaign gave a speech in our school’s gym. 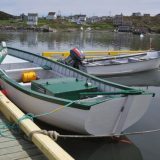 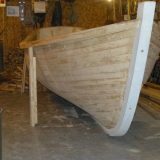 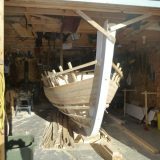 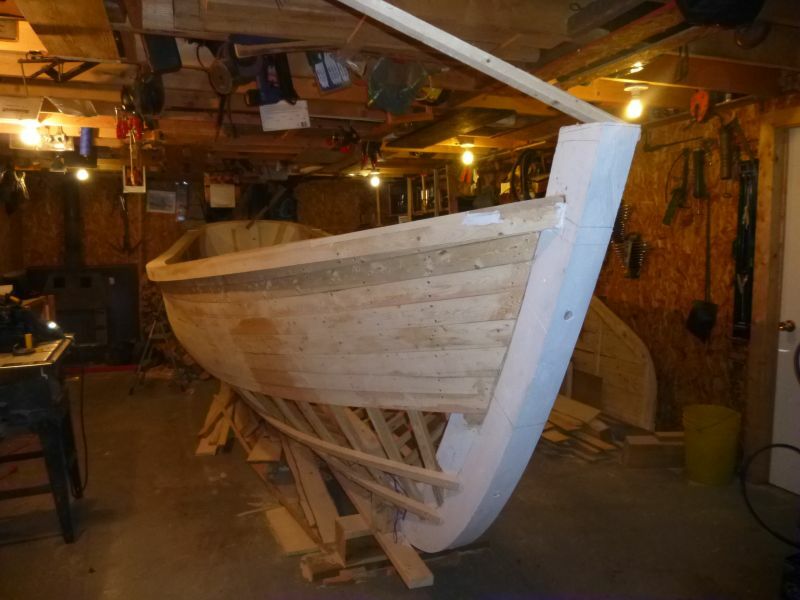 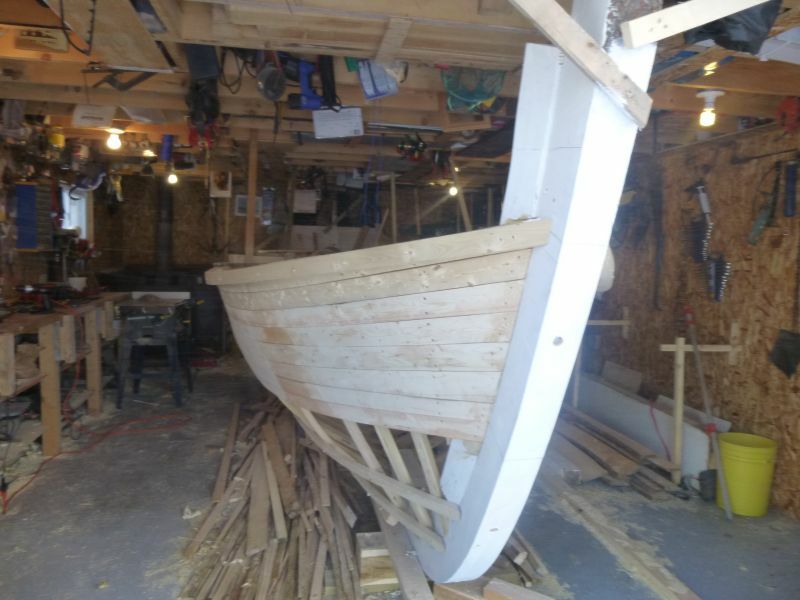 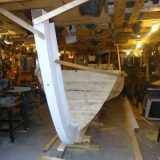 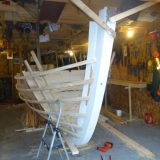 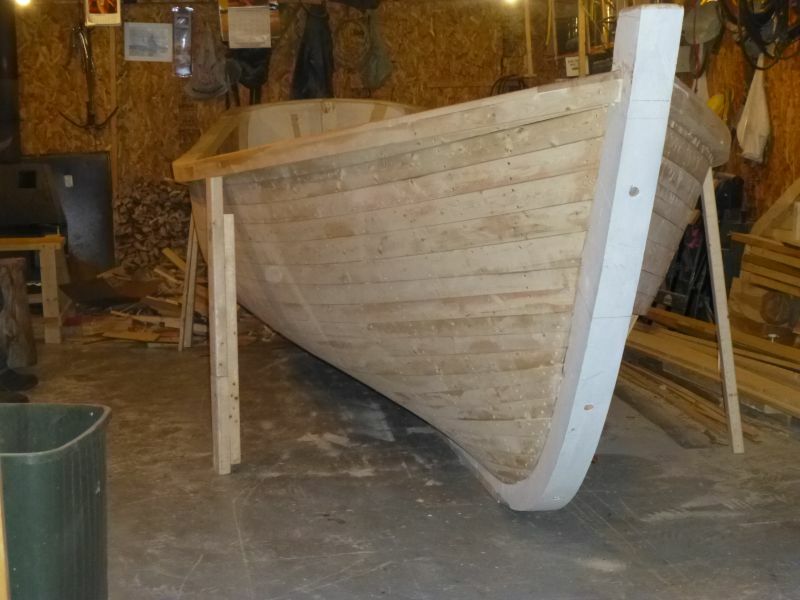 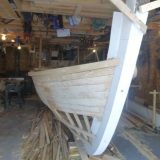 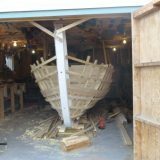 After reading this article about boat building, It’s obvious that Roy did his part.